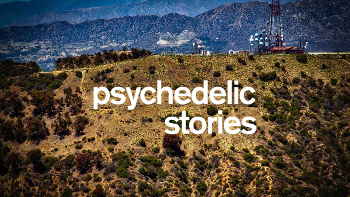 Psymposia hopes that you enjoy these stories from Los Angeles. Besides the police officer Michael Wood & UltraCulture’s Jason Louv and an array of other storytellers who have fathomed hell or soared angelic. This episode ends with one of the most powerful stories we have ever heard on on our stage. Also there is an announcement about the Psychedelic History Project for which Lex Pelger will be archiving this summer in order to save a unique treasure trove acquired by Dr. Timothy Leary and saving it for the world. To support that work or learn more about Lex’s other projects in psychoactive history and education, go to his Patreon for No Nonsense Productions where you can get his Queer chapter for free. Posted in Alchemy, LSD, Psilocybin, Psychedelics, Psymposia.